About College: Punjab Technical University, Giani Zail Singh Campus, Bathinda was the first technical institute established by Government of Punjab. The foundation stone was laid by His Excellency Sidharth Shankar Ray, then Governor of Punjab in 1989. It started with the name as Government Engineering College, Bathinda, and later got the name of Giani Zail Singh College of Engineering & Technology, Bathinda in 1992 after ex-president of India in 1992 and was made fully autonomous. Campus: Punjab Technical University, Giani Zail Singh Campus, Bathinda was the first technical institute established by Government of Punjab. The foundation stone was laid by His Excellency Sidharth Shankar Ray, then Governor of Punjab in 1989. It started with the name as Government Engineering College, Bathinda, and later got the name of Giani Zail Singh College of Engineering & Technology, Bathinda in 1992 after ex-president of India in 1992 and was made fully autonomous. 03. DELNET Library is having DELNET, New Delhi Membership since the year 2007. Both Science Direct & DELNET New Delhi cover International Journals. 07 Book Bank For the welfare of SC/ST Students. 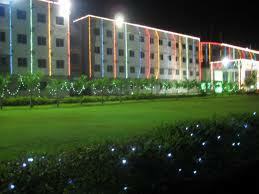 Hostel: There are total five hostels for the students out of which four for boys and one for girls. The total numbers of students presently residing in the hostels are 1000.
plz give me infomation about vaccancy in ECE for ASSISTANT prof.